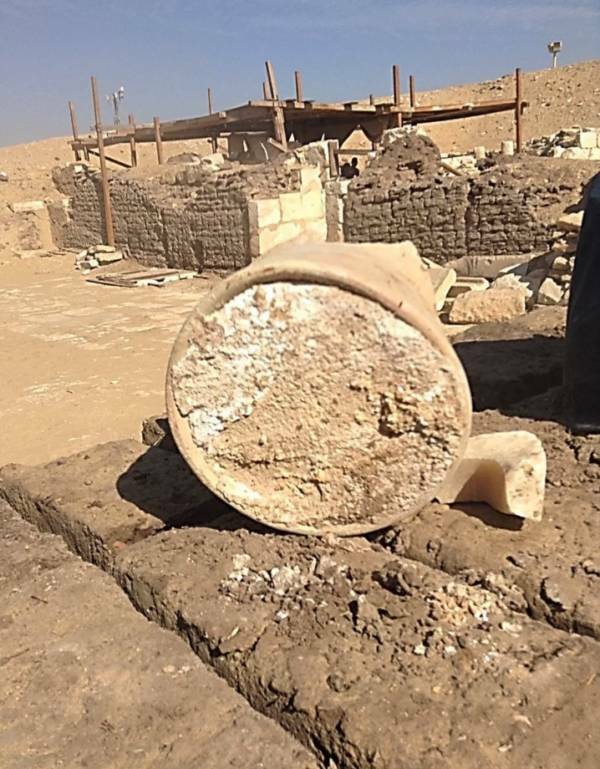 The cheese found by archaeologists in Egypt. "The material analyzed in this study is probably the most ancient archaeological solid residue of cheese ever found to date." The latest discovery from a team of archaeologists in Egypt has taken aged cheese to a whole new level. In a paper published in July in the journal Analytical Chemistry, a team of archaeologists revealed that they discovered the oldest specimen of cheese ever found. The cheese, which is believed to be approximately 3,200 years old, was found while the team was excavating the tomb of Ptahmes, mayor of Memphis, the ancient capital of Egypt. 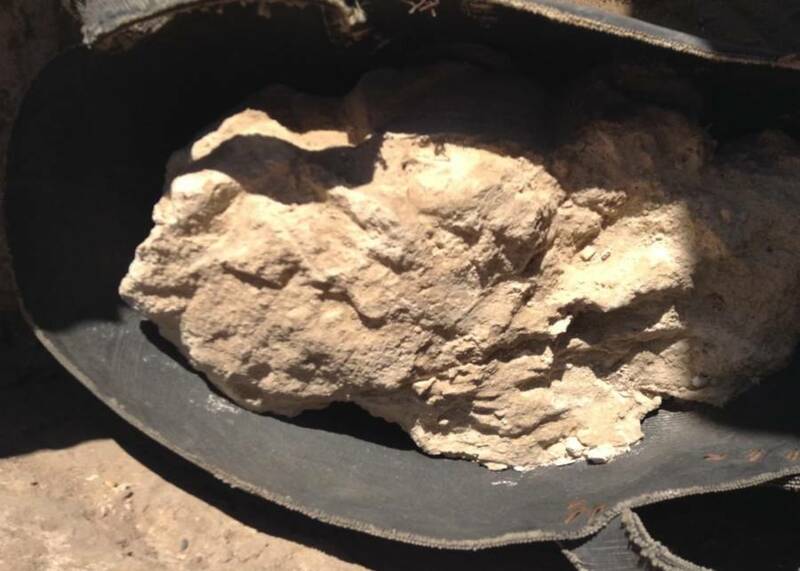 According to Smithsonian, sometime between 2013 and 2014, the team of archaeologists found a few broken jars at the site, one of which had a mysterious solid white mass inside. The jar was found with a canvas fabric which was thought to have covered the jar. This caused the archaeologists to suspect that the mass was food, Enrico Greco, the lead author of the paper and a research assistant at Peking University, told The New York Times. However, it wasn’t until the team ran tests on the object that they reached their cheesy conclusion. The researchers dissolved the substance, examined the contents, and discovered that the substance found was “a dairy product obtained by mixing sheep/goat and cow milk” the study said. According to Smithsonian, because the canvas cloth believed to have covered the jar wouldn’t have stopped a liquid from escaping, the researchers concluded that the contents must have been a solid dairy product. “The material analyzed in this study is probably the most ancient archaeological solid residue of cheese ever found to date,” the study concluded. The cheese that the Ancient Egyptians feasted on was probably similar to modern-day chevre, but more acidic. Researchers have been studying samples of possible dairy substances in Ancient Egypt for decades and have extracted lipid and fat residues from pots and jars dating back as far as 7,000 B.C. However, the piece of cheese that the team of researchers found most recently is the biggest chunk of the dairy product to have ever been discovered. Another discovery the team came across while examining the cheese was something much more insidious: an extremely harmful, and possibly deadly, bacteria. Brucella melitensis is a species of bacteria that can cause brucellosis, a disease that has symptoms such as fever, arthritis, fatigue, and muscle pain. Some symptoms of this disease can persist for long periods of time and others may never go away, according to the Centers for Disease Control. You might have to pay a pretty penny when you buy aged cheese at your local grocery store, but eating this Ancient Egyptian cheese could cost you your life.